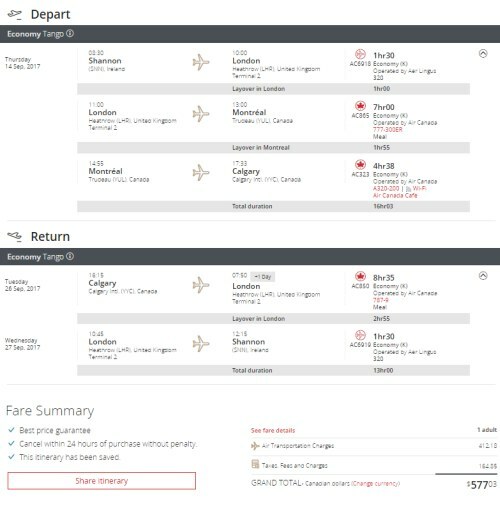 Air Canada has dropped the price of their flights from Cork and Shannon, Ireland to Calgary down to $575 CAD roundtrip including taxes. This could be useful for someone in Calgary with friends or family in Europe who would like to come and visit them. Unfortunately this one doesn't work the other way around. You can find these prices right up to about mid November 2017. Click on 'Change' when you get to Kayak to try other dates. 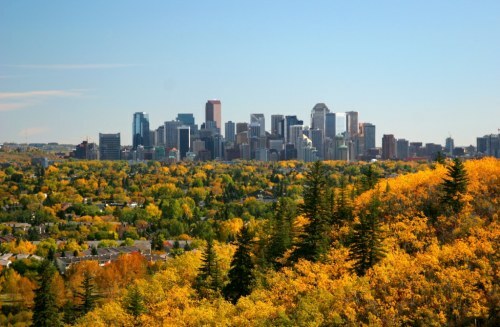 calgary, yyc, flight deals, europe, western europe, united kingdom, ireland, cork, ork, shannon and snn.